When we moved from Bayfield to Spearfish, our children were in the early years of elementary school. My daughter’s biggest worry was what would she say when people asked what was her hometown. Bayfield or Spearfish? We tried to comfort her and told her she could tell them whichever one she felt comfortable with. For a few years, Bayfield was her hometown, but it didn’t take long for her to change that. We lived there for a little more than 8 years, long enough for her to make lots of friends and graduate from high school. Now if you ask her, her hometown is Spearfish. In our summer sojourn, we’ve mostly gone back to places where we used to live in South Dakota, Pierre, Custer, and Spearfish. Lots of happy memories are recalled when we’re there. Hubby was born and raised in Pierre so that’s his hometown. He lived in Custer for more than 8 years. I lived there only 7, moving to Boise to take my dream job which required that we lived apart for about 18 months. It’s not our hometown, but as we told people who asked, we are displaced locals. This summer, I observed Hubby as we spent time in Custer, and I understood better how much he loves it there. Nearly every store or restaurant he goes in, he meets someone he knows and gets to chat and catch up. People call him on the phone because they’ve heard he’s in town and schedule times to go on bike rides, hiking treks, or geocaching. He’s has more friends here than anywhere we’ve lived. The rail-trail, nearby national forest, and state park are his playground. He’s really happy there. For him, he can go home and he loves it. I’ve lived in Boise for a little more than 8 years now and he’s lived there about 7 years. Hubby’s made friends there, but none as close as the ones in Custer. He’s not much of a city dweller, but the greenbelt that goes by our house has given him an outlet for biking and walking long distances. He’s not unhappy in Boise, just not as happy as he is in Custer. When we moved to Spearfish, I felt like I was at home and was never homesick a day. When we moved away, I was so sad and it took me a while to adjust to being somewhere else. It still feels like home when I’m in Spearfish. It’s not my hometown, but I feel very comfortable there. That’s where I can go home and love it. It’s got me wondering if we should move back this way. Since we seem to move every 8 years, maybe it’s time. But where? 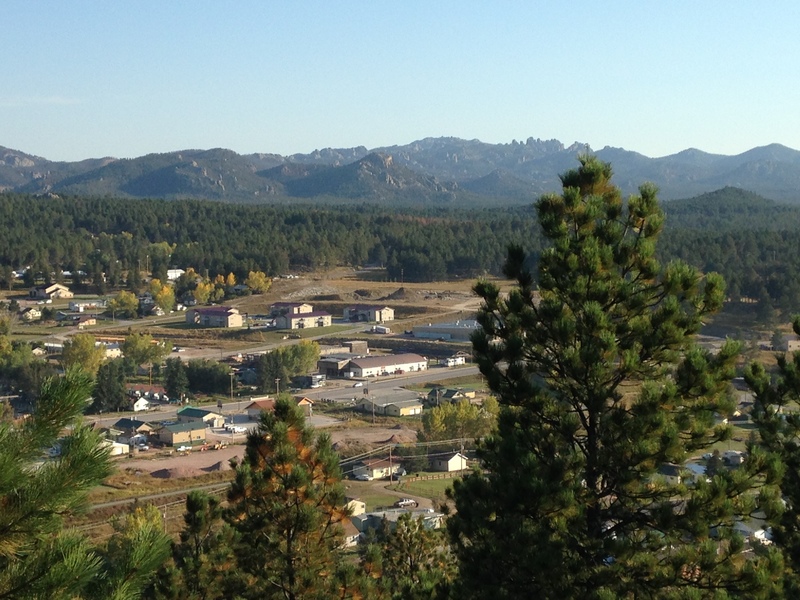 Spearfish is on the opposite side of the Black Hills from Custer. Boise seems to be “neutral” ground so we are waiting for Divine Guidance in helping make a decision. And, I hate to leave my friends in Boise. I want to hang on to all my old friends just a little longer.